Fotios was born in Tsipni, Asia Minor. His family fled to Lesvos twice due to the growing anti- greek sentiments- when he was five and twelve years old respectively. On the second occasion, his father, Andonios, was unable to flee with his family and remained behind. His wife, Triantafilia, and their young family never saw him again. 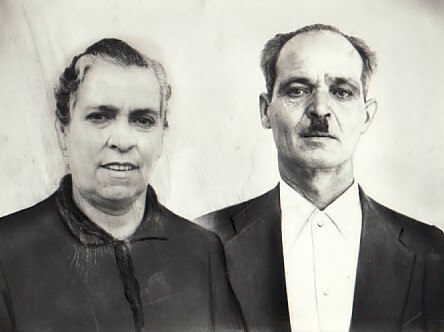 Above: With his wife, Marianthi. 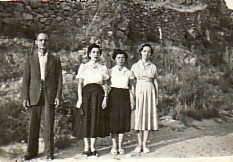 Above Right: With his daughters, Elpida (left) and Mersa (right), and his niece, Alexandra Seretis ("Hatzidimitriou"). 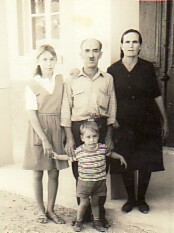 Above: His sister, Eleni, with her husband, Anestasios, and their children. Above Right: Fotios worked as a cheese-maker in many of Lesvos' villages. 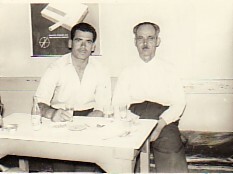 In this photograph, he is with one of his assistants.